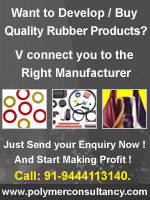 India Rubber Directory : Get listed in rubber product database, Add your listings, free listing rubber directory listings. Please fill the below form to become India Rubber Directory Member. On placing your Advertisement on IRD, you reach millions of customer minds (Both domestic and International) within a short span time at a unimaginable cost compare to the print media. Premium listed company will be positioned top on the related product / service category. This will tempt the browser to look your company Offerings./ services . On IRD more than 10,000 companies are displayed , to mark your presence effectively on the customer mind, premium listing is the most effective tool. Free correction / updation will be made to your sub page round the clock. Sub pages are provided for interested members for Just Rs.2500/- . Choose premium listing checkbox if you want your pages to be listed in Indiarubberdirectory.com. Please furnish your details and we will be in touch with you shortly. IRD is a industry specific portal developed to target the Complete Spectrum of Rubber Industry. Our basic mantra is to connect the each and every rubber people to the global markets with the help of Internet Technology. IRD has invested huge amount on Promoting the directory on major search engines, like Google, Yahoo, AltaVista, etc., which will tremendously increase the traffic of the advertisers on IndiaRubberDirectory.com. As the result, whenever the browser search for any rubber related terms such as rubber products, rubber manufacturers, rubber exporters, rubber importers, rubber consultants, rubber distributors, rubber engineering, rubber machinery manufacturers etc., our directory will on the top 10 position on all major search engines, will be an asset to all users of IRD to promote the businesses globally.